I was inspired by one blog I recently discovered http://prekinders.com/science-center/. She has so many interesting things in her classroom display that I couldn't resist and I just copied one of her idea. Gourds lesson was the easiest one for my Eaton. This lesson was a hit!! Eaton was playing with gourds, touching them, choosing the smooth ones and bumpy ones. We spent about 20 minutes with these cute hollow fruits. Suddenly Eaton took one that looked like a pumpkin and started to roll it on the floor. 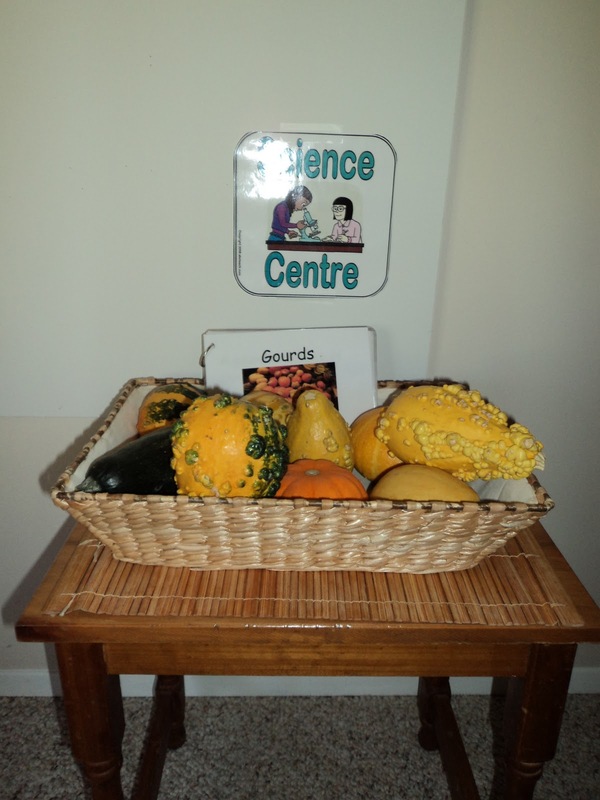 I thought: it's a great idea to talk about how particular gourd is rolling on the hard floor. Bumpy gourds didn't roll so easy like the smooth ones. One gourd didn't roll at all. So that was another topic to talk about. Because Eaton knows how to read I created a little book about gourds. I've learned a lot from searching internet about where their origin is and how we use gourds in the United States. I didn't stop at preparing only science corner. I needed to rearrange some furniture and reading corner for Eaton came out pretty nice. I think he loves it :). 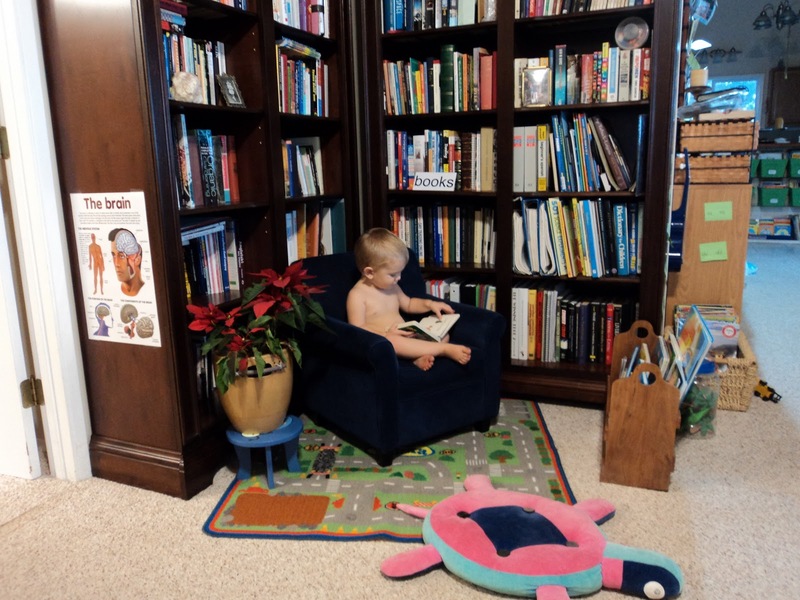 I wanted him to sit down in his chair once he reads instead on the floor. Wow! I wish my som would just sit and read. You've done an amazing job with him. Great idea too! haha This picture is so cute! I'm so envious at the space you have! We have 8 in our small house. Certainly no way to have so many corners! And the kids just have to study/read/work in whatever areas they can find even if it has to be at the window ledge or on their beds! Or do their studying in school only to avoid being disturbed by others!